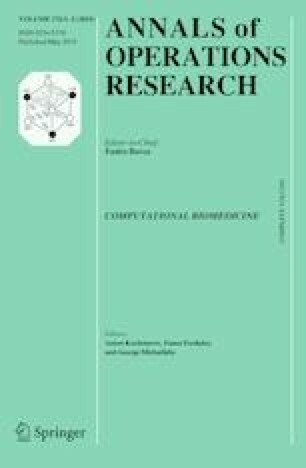 In this article, a mathematical programming problem under affinely parameterized uncertain data with multiple objective functions given by SOS-convex polynomials, denoting by (UMP), is considered; moreover, its robust counterpart, denoting by (RMP), is proposed by following the robust optimization approach (worst-case approach). Then, by employing the well-known \(\epsilon \)-constraint method (a scalarization technique), we substitute (RMP) by a class of scalar problems. Under some suitable conditions, a zero duality gap result, between each scalar problem and its relaxation problems, is established; moreover, the relationship of their solutions is also discussed. As a consequence, we observe that finding robust efficient solutions to (UMP) is tractable by such a scalarization method. Finally, a nontrivial numerical example is designed to show how to find robust efficient solutions to (UMP) by applying our results. The first author was supported by the National Research Foundation of Korea (NRF) Grant funded by the Korea government (MSIP) (NRF-2017R1A5A1015722). The second author was supported by the National Research Foundation of Korea (NRF) Grant funded by the Korea government (MSIP) (NRF-2018R1C1B6001842). The authors would like to express their sincere thanks to anonymous referees for their very helpful and valuable suggestions and comments for the paper. Grant, M. C., & Boyd, S. P. (2013). The CVX user’s guide, release 2.0. User manual. Available at http://cvxr.com/cvx.